A week after being legally – and privately – sworn in as Ocean County freeholder by county counsel Jack Sahradnik, Virginia Haines was welcomed to the county’s governing body Wednesday with a bit more fanfare, with Lt. Gov. 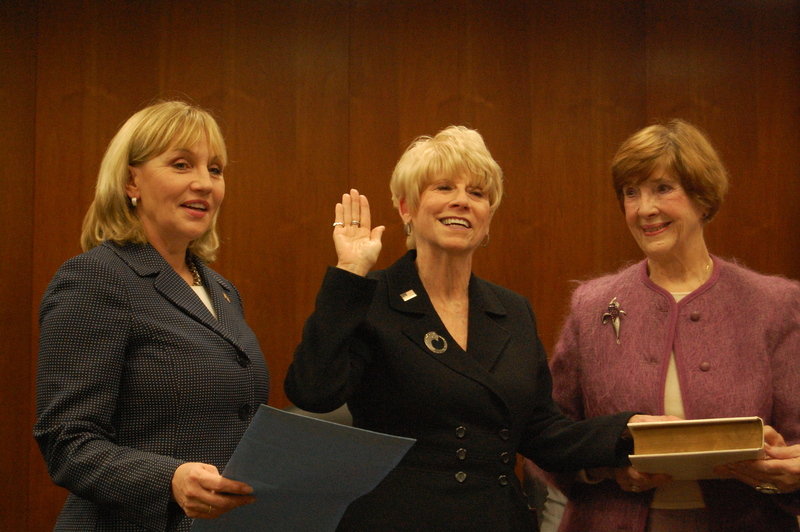 Kim Guadagno on hand to administer the oath of office. 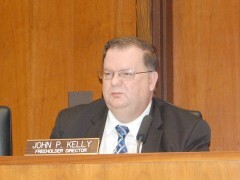 Haines, a former state assemblywoman and lottery director, was appointed by the county’s Republican organization to fill the seat of former Freeholder James Lacey, who resigned Dec. 31, 2015. Little, in turn, has taken over Lacey’s duties as liaison to the county road department. 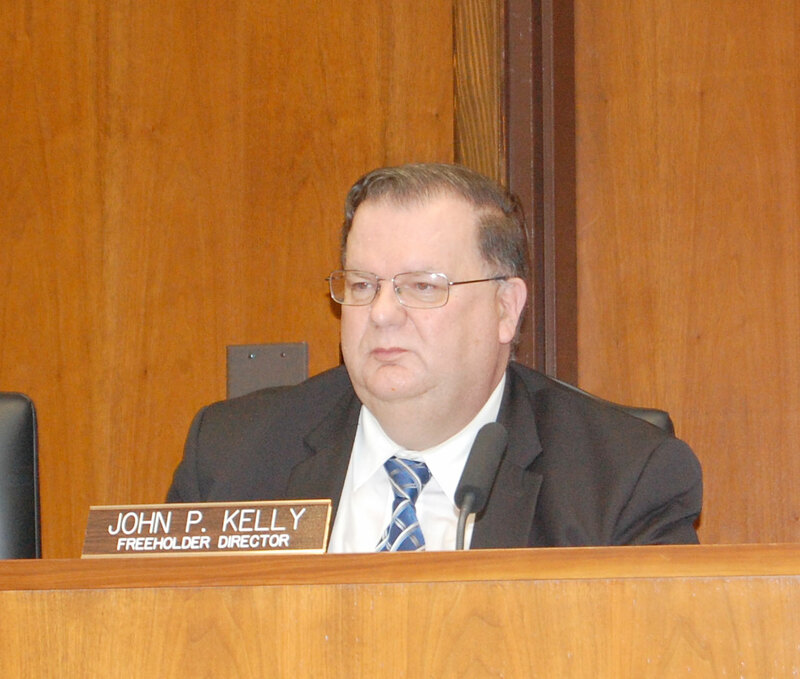 Freeholder Jack Kelly, who was unanimously voted by his colleagues to serve as director of the board for the remainder of 2016, brought some levity to the room during the public meeting held Wednesday afternoon. “The legislature was a nice place to hang your hat, but now you have an important office,” he told Haines. Little will serve as deputy director for the year. For her part, Haines became emotional after being sworn in by Guadagno, with numerous family members looking on. Haines had many friends in the audience, including former state Sen. John O. Bennett, who briefly served as acting governor. “This board I now sit on has made Ocean County the number one county in the state of New Jersey, and with my support, we will continue to be the number one county in New Jersey,” said Haines. Haines has indicated she plans to run for election to a full term on the freeholder board in November. She received an initial vote of support from Guadagno Wednesday. “I know, Ginny, you will be elected,” Guadagno said.